Royal Canin Maxi 8+ Dog Food is for those dogs of adult weight between 26 - 44kg with an age of 8 years plus. 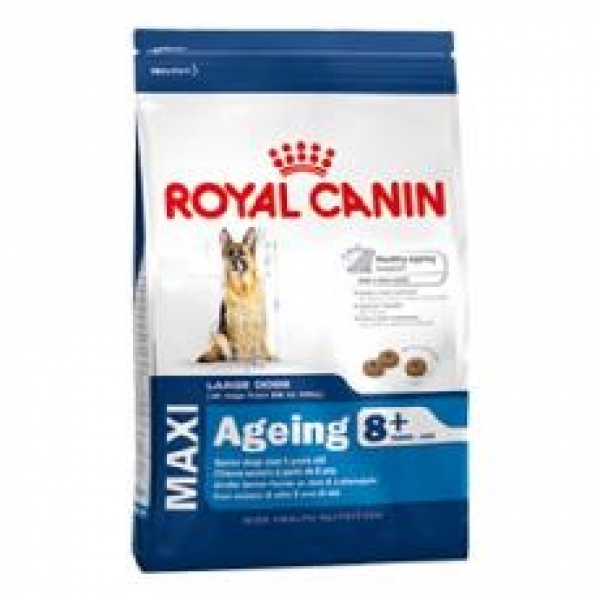 Contains Chondroitin and Glucosamine to help protect joints along with skin and coat support properties. Main ingredients:- Dehydrated Poultry meat, rice, animal fats, wheat, wheat flour, maize, maize gluten, hydrolysed animal protein isolate, beet pulp.